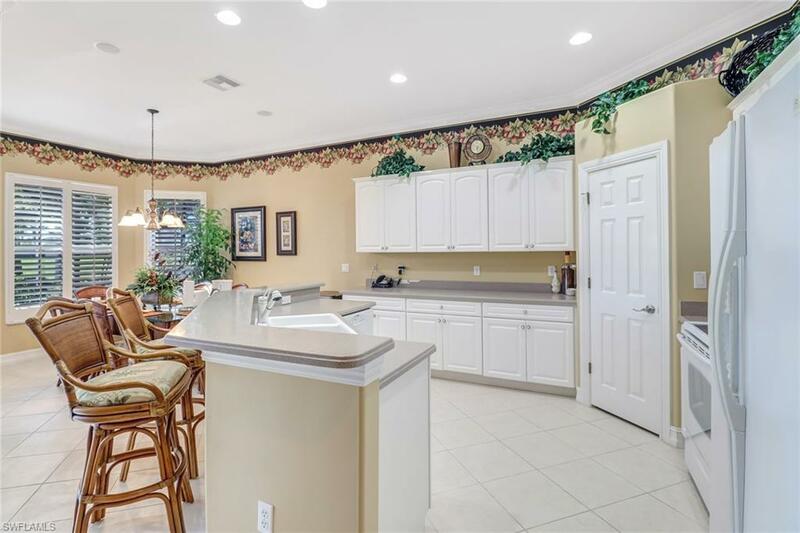 Please come see this turnkey furnished beautiful home in Masters Reserve at Lely Resort. 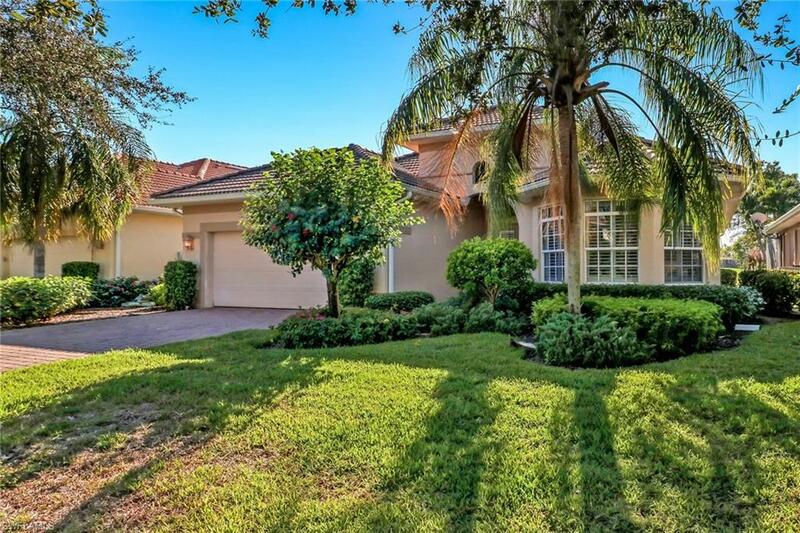 This professionally decorated home has 3 bedrooms, 2 baths, a 2-car garage, a large heated pool & spa and sits on a prime golf course lot. The Southwest exposure ensures optimal sun exposure. 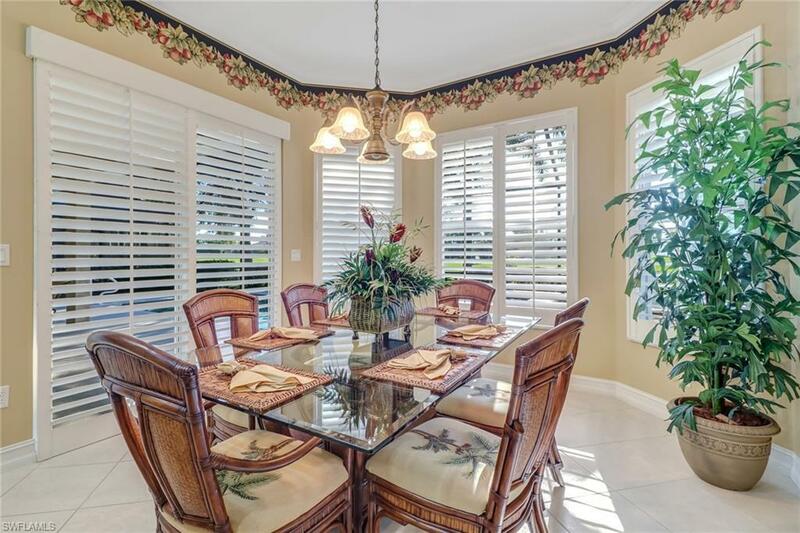 Crown molding and plantation shutters enhance this home's visual appeal. This home has been very lightly used by this original owner, on average just a few weeks per year! 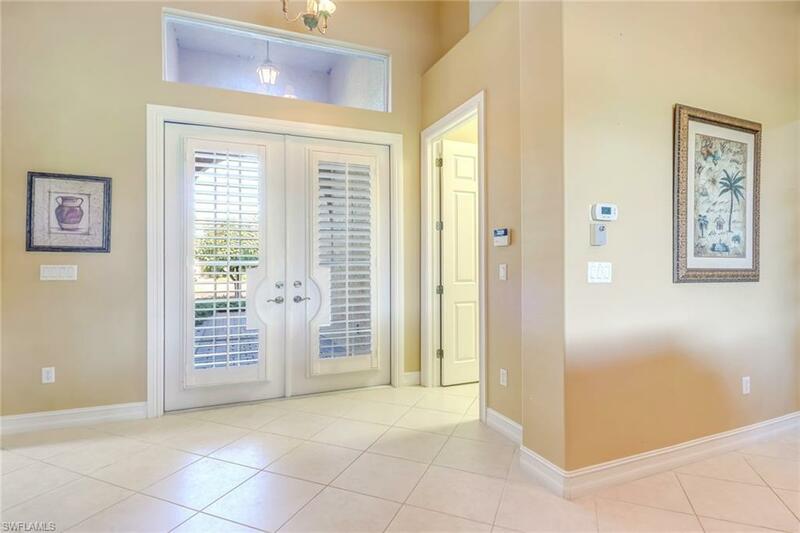 Masters Reserve is a quiet, beautifully landscaped neighborhood in the heart of Lely Resort. The top-notch amenities at the Players Club are just a 15 minute walk away. Residents enjoy a sports pool, two large lagoon pools and a separate pool for toddlers. The fitness center offers the newest equipment, fitness classes throughout the day and personal trainers. There are 13 new tennis courts.The tiki bar serves casual food, with terrace and fireside dining and the main restaurant features an open air bar. Membership in the Players club is required. Golfers can choose between two public 18-hole courses and the private Classics course. Lely Resort is just 15 minutes from Fifth Avenue in downtown Naples, as well as Marco Island beaches.